As germinating force of soul. Dinner will be available for sale from 6pm. There will be baked potatoes with toppings (including Sujeeva’s Brazilian black beans), Minestrone with bread and a range of desserts. Class 6 will be selling home made Sparkling Apple Cordial for $1 a glass and putting the profits from that towards their camp funds. I hope everyone has had a fruitful Easter break. The weather was beautiful and the rest appreciated. Winter appears to have arrived with gusto this week and I have to say I’m appreciating the change. Term 1 flew by so quickly and ended happily with the sharing of bounty. Many thanks to the Parents and friends for the wonderful feast enjoyed by all in the heart lands. Our parent night will not be the 3rd of May rather it will be the 17th of May,at 7.30pm, I hope this is not inconveniencing the parents, I have an important meeting on the 3rd that is unavoidable. There are still time slots available if parents would like to get together and have a chat about their children. 8th of May. The list will be available near the sign in book. Welcome to our second term, I trust everyone enjoyed a relaxing holiday. The children have returned with plenty of energy and lots of enthusiasm. Our Class Meeting will be on Monday 8th of May, 7.30-9pm, we will be discussing the development of the six year old child and the Will. I hope you can be there. An email with more news has been sent to all families. Belated Welcome Back to our new term and thank you to Kate who supported the class during my absence last week. 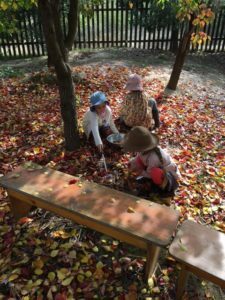 This term we will are learning our class play with a view to presenting it towards the end of term. We are also continuing our Old Testament stories and developing our skills of measurement. Our class meeting is scheduled for Wednesday 10th of May at 7:30pm and our focus will be on understanding the developmental changes that the nine year old child faces and how we can support them through this challenging period. I would also like to discuss ideas for our building project and outline plans for our class three curriculum. It is lovely to be back to an Autumn-with-hints-of-Winter term. Class 5 is having a flurry of birthdays in the next couple of months with 10 year olds turning 11….we have travelled far! We came back to Ancient Persia with the wonderful story of Zarathustra and we are now starting to notice similarities in this story to other stories we have had in the earlier classes – a wicked king trying to kill a special child, a bright star leading wise men, Magi= magician, hunters becoming herds-people becoming farmers & peasants, dreams connecting to great spirits who give advice as to what to do next. Our next main lesson is Accurate Geometry where we will discover shapes within the archetypal circle formation (rosette). We will continue to practice for our Greek Olympics this term, building up our fitness and stamina for running, jumping & wrestling. Discus throwing is also on the agenda. As the rainy days become more frequent, all students will need waterproof shoes/boots and waterproof coats. A fun & chilly week has been enjoyed rockclimbing at Mt Arapiles! Il n’y a pas de nouvelles françaises cette quinzaine. The Class 8 Renaissance Portraits are now on display in the Foyer Gallery. The school supports the emotional well-being of students through the provision of pastoral care services. Lorna Atkinson is available to see parents and/or students about any social-emotional or behavioural issues that may be affecting your child’s learning or well-being and can be contacted through the Office. We are in the midst of final preparations for the bush dance on Saturday, 29 April. We’re really excited to have Jane Thompson and James Rigby playing on the night – Jane and James are both musical celebrities and past parents of our school. It will be a fun and relaxed evening. We’ll be cooking across the week and setting up on Friday and Saturday. Pop by if you want to hang up bunting or chop some coleslaw. We’re looking for branches of Hawthorn and Autumn grapevine to decorate the hall. If you can provide some, they will be gratefully received. Tickets are available from the office, online at www.family-bush-dance@eventbrite.com.au or at the door. Prices are $25 for a family (two adults and children), $10 an adult or $5 for children. Profits will go towards classroom improvements. Craft group will meet as usual on Wednesday mornings after drop off in the Parents Room, commencing 26 April. This term we will concentrate on wool crafts with knitting and crochet projects and help for learners wanting to get started. You can bring your own project along or we’ll have some we’re working on together. We’re on the lookout for donations of knitting needles and crochet hooks if you have a stash of unwanted ones. Alternate weeks we’ll be making kits for Spring Fair and general planning, but you’re always welcome to bring your knitting and have a chat and a cup of tea. School lunches will start again on Friday, 28 April. We will make lunches available two days a week this term – Mondays will continue like last term and Fridays will be a vegetable based soup. We’ll serve it in a cup size or a bowl size with bread. Order forms will come home soon. 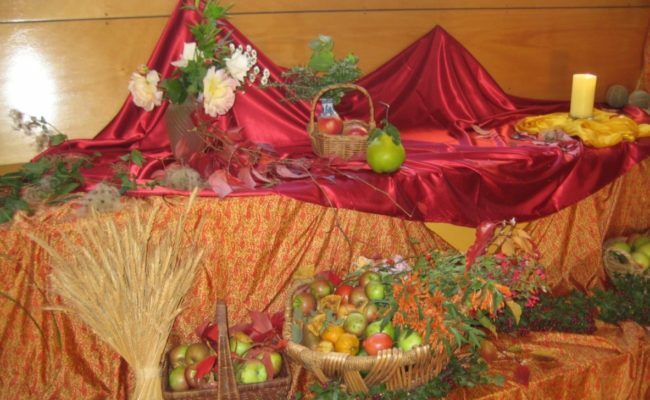 The harvest table at our Autumn festival last term was overflowing with home made and home grown produce. Thank you for your donations. We have cooked up the produce and used it for some catering. In the next few weeks, I’ll forward a survey asking for suggestions from parents on where to donate these funds. We would like to support a group helping those in need in our community. Thanks and see you all at the bush dance! It is with sadness we advise that Jenni has tendered her resignation from the school. Jenni has been a member of our school community since her daughters were students here, and an integral member of the admin team for the past 7 years. Her smile, experience, personable nature, and humour will be greatly missed. We all wish Jenni much happiness for the future. Our new invoicing system is up and running. Invoices are sent by email. If you would like your invoice in hard copy, please request a printout from the office. To save costs we will only post hard copies on request. The new look invoices were emailed on Thursday April 13th. Please let the office know if you have not received your invoice, or if you have any queries. A reminder that the payment due date is Friday 5th May. The school now has a direct debit facility, which is our preferred payment method for school fees. Please collect a direct debit form from the school office if you would like to pay this way. The Australian Government Department of Education and Training is currently undertaking the 2017 Student Residential Address Collection. We are required to provide de-identified current addresses for all children enrolled at the school. An email will be sent to you shortly with further information about this survey and a request to verify that we have the correct address for your child(ren). Steiner home based care for 2-5 year olds. 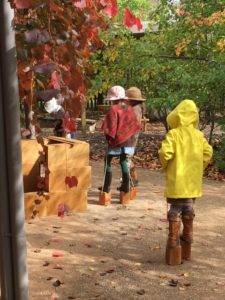 For all enquires about the program please contact Joanna Muller on 0425 840 984 – Steiner trained and 12 years experience in Steiner Early childhood work. We are looking for someone trusted and reliable, and comfortable handling animals and living in a rural location, to care for the animals and the property whilst we are away in May. Dates are arrive no later than Friday May 5 (happy to arrive sooner!) and we will be back Friday May 12. There is a fully self contained cottage. Everything will be set up for care of the animals on site. The dogs will be in kennels so main responsibilities will be the hard feeding on two ponies twice a day, feeding out hay to a small flock of yarded sheep and goats, feeding and care of the cats, feeding, watering and letting out and locking up the poultry morning and night. I will feed out enough hay for other animals on site for the week. Otherwise we just need the rest of the animals (horses, donkeys, sheep, goats, alpacas) regularly checked. The cattle will be on agistment next door. I will be contactable by ‘phone and there are people close by to advise and assist if needed. We have a good network of vet support. Children with a love of singing and performance will be delighted to hear that the Castlemaine Children’s Choir is starting again in term two. The choir is open to any child in the Shire aged 7 and above, who enjoy singing and would like to sing in a group. The choir provides the opportunity to develop musical skills and perform as a group, with sessions involving vocal warm ups; pitch and rhythm activities; new pieces and familiar songs; and time for fun music games. Tim Watson is the choir leader. He studied music at the Victorian College of the Arts and has been a primary school teacher and teacher of music to a variety of ages. Bookings: through Castlemaine Community House website. Border Music Camp 2017 July 2nd - July 8th, Albury. Hello, we had such fun a couple of years ago at Border Music Camp… and are considering doing it all again this year! Parents are also welcome to bring an instrument and join in… or spend the week exploring the beautiful upper Murray during the day while the kids are playing with instruments and new friends! I literally had to force our kids to go, but then they didn’t want to come home… nuff said! If you would like to ask me any questions… please do. I am offering personalised holistic treatments addressing acute and chronic conditions in men, women and children. The treatments may include dietary and lifestyle advice, nutritional support and herbal prescriptions. Having two children myself, I have a special interest in children’s health and wellness. My eldest, Abigail, is attending class 1 at school, so if we happen to cross paths and you have a question, please feel free to ask! I am currently working from The Hub in Castlemaine. Case Managers), Allied Health, Mental Health and Supervisory Professionals supporting children, adolescents and adults. We are writing to let your school community know about our upcoming study week in anthroposophic medicine and therapy. It is a great opportunity for anyone working in a health profession to experience how the source of knowledge that enlivens their children’s education can also offer possibilities for medical and therapeutic professions. We hope as well that by strengthening the knowledge and experience of health professionals in your parent body, the work of your school is also enhanced. An eSafety expert from the Office of the Children’s eSaftey Commissioner will be delivering a FREE workshop aimed at teaching parents on how young people are using social media and technology and how to make a complaint about child cyberbullying. If you are concerned about a young person or want to learn more about young people’s online usage please attend this free workshop. Helena River Steiner School crowd funding campaign. We at Helena River Steiner School in Midland, Western Australia, have just launched a crowd funding campaign. We know in Steiner schools our strength lies in unity, love and support, so we hope your school, staff members and family community will want to support us. .
Or even a short mention of our campaign in there would be appreciated. The campaign will end on the 22nd of May. 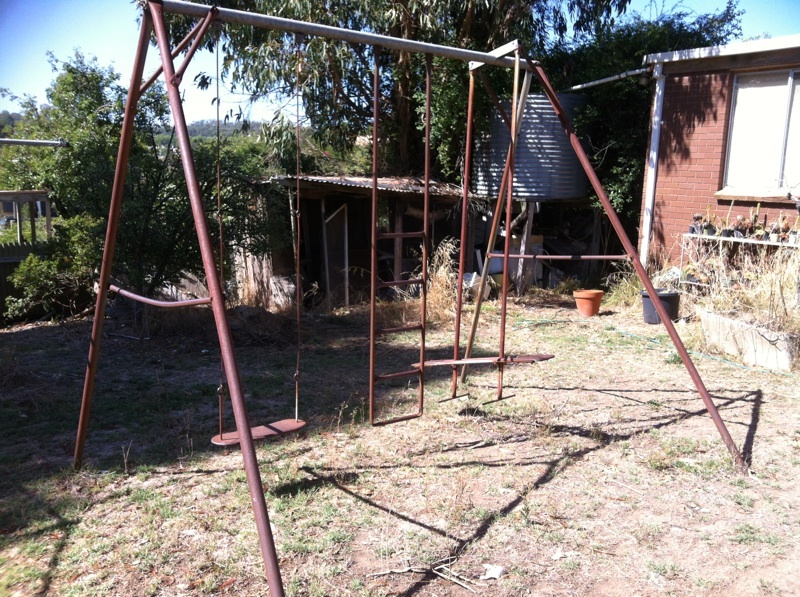 Metal Swing Set free to a good home!